It’s smooth sliding all the way with our standard screen doors. Patented spring-loaded rollers are fully adjustable at each corner, to prevent bothersome derailing and maintain superior performance. 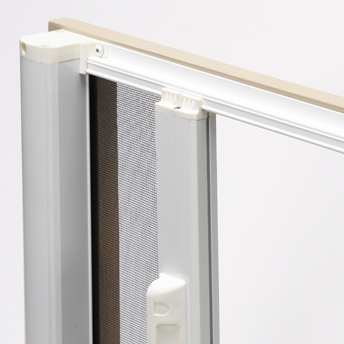 All our patio doors come standard with black fibreglass mesh insect screens. 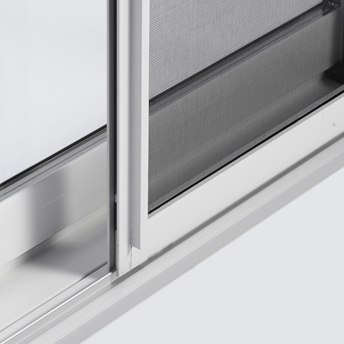 We also offer a Clearview screen which provides better visibility without compromising durability; over 10% more natural light and 15% better airflow. Pet-resistant insect screening is also available; tear and puncture resistant and up to 7 times stronger than conventional mesh. Optional hideaway screens with standard black fibreglass insect mesh roll across to provide a clear, unobstructed view when not in use. 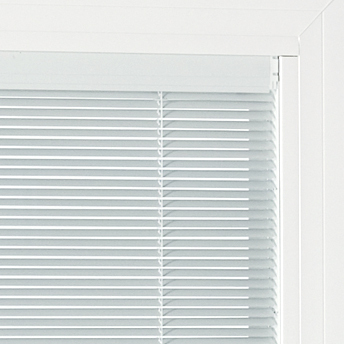 Optional integrated aluminum mini-blinds offer maintenance-free privacy and unlimited light control.